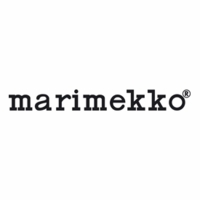 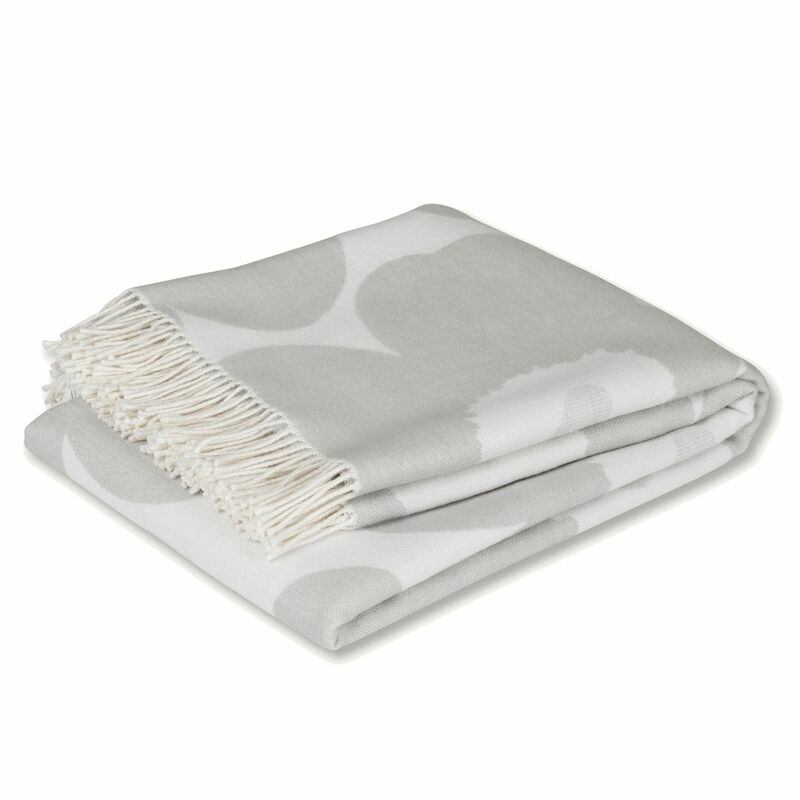 More about Marimekko Unikko Ivory / Grey Blanket Chilly winter nights call for a warm, woolly throw. 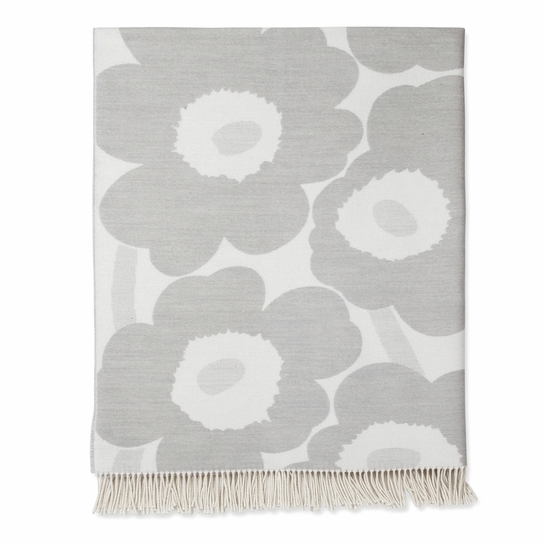 Made from a wool and cotton blend, the Marimekko Unikko Blanket is lengthy and lightweight for breathable comfort. 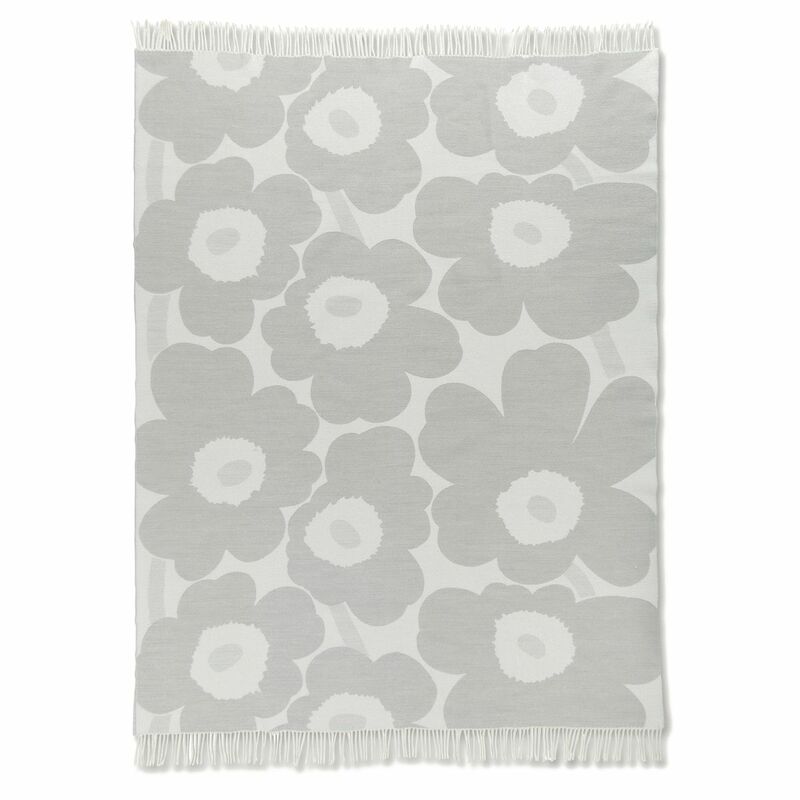 It is adorned with Maija Isola's iconic Unikko print in neutral shades of ivory and grey, making it a modern part of the decor when draped across a sofa back or folded on a bench. 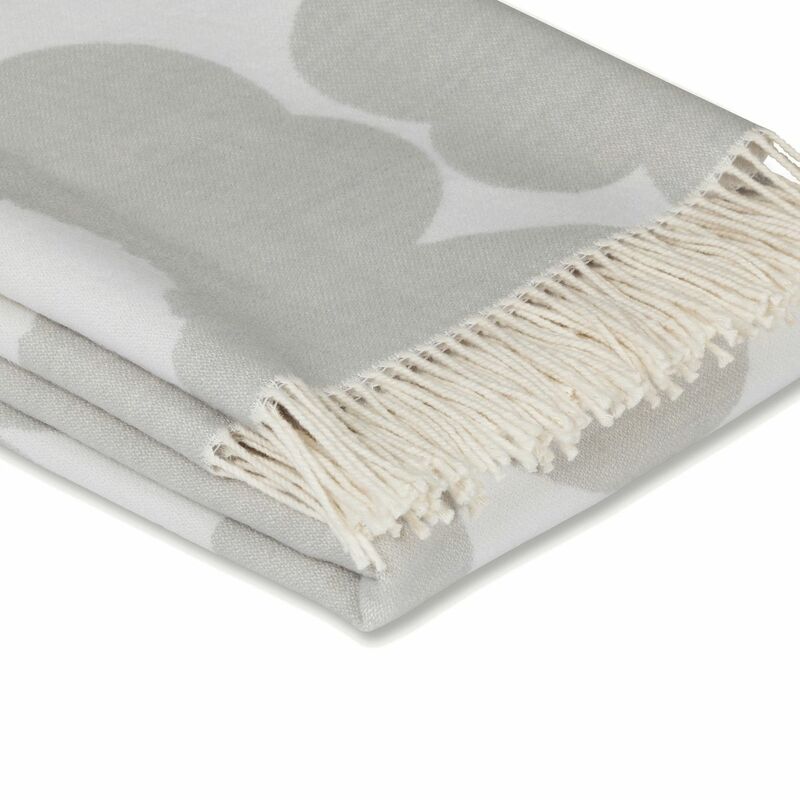 Fringed edges add to its cozy appeal.